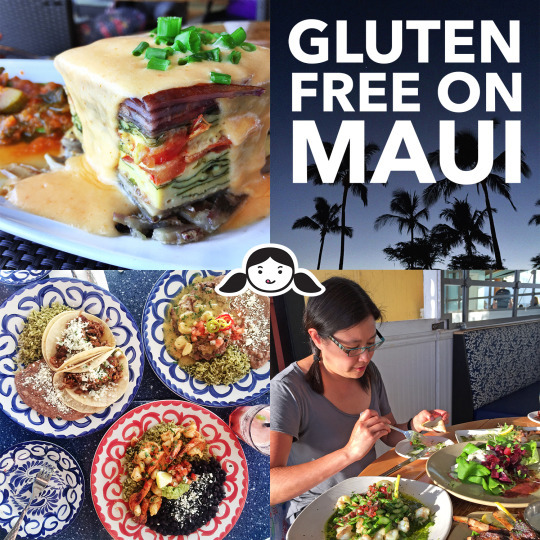 We’ve been vacationing in Maui every year for over a decade and I’ve compiled a list of my favorite gluten free restaurants and tips on eating gluten free without sacrificing flavor. 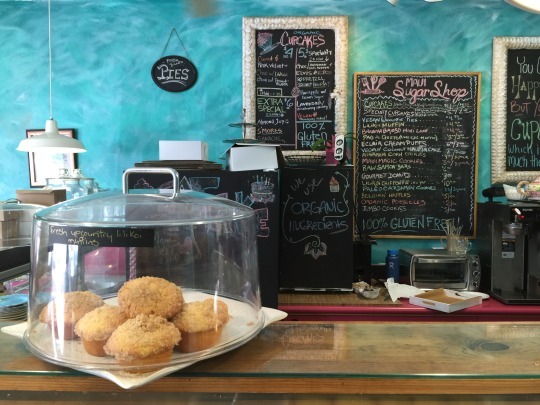 Eating gluten free on Maui is easier than you think! 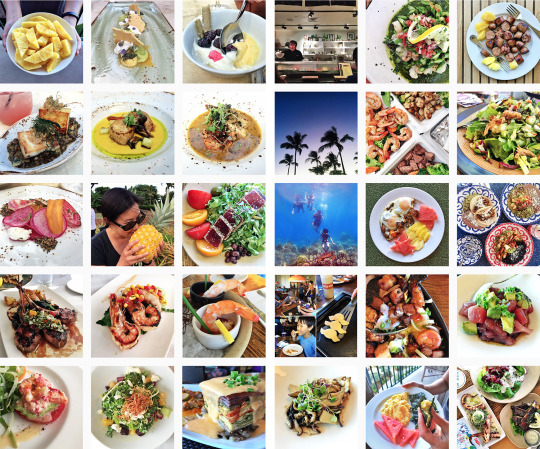 Earlier this month, our family spent a week in Maui, where—as usual—we downed a lot of tasty meals. I say “as usual” because we try to make it out to Maui once a year. Many moons ago, we were suckered persuaded into buying a time share in Ka’anapali on the west side of Maui. Lesson learned: pregnancy hormones combined with a tropical paradise backdrop does not lead to smart real estate investment decisions. 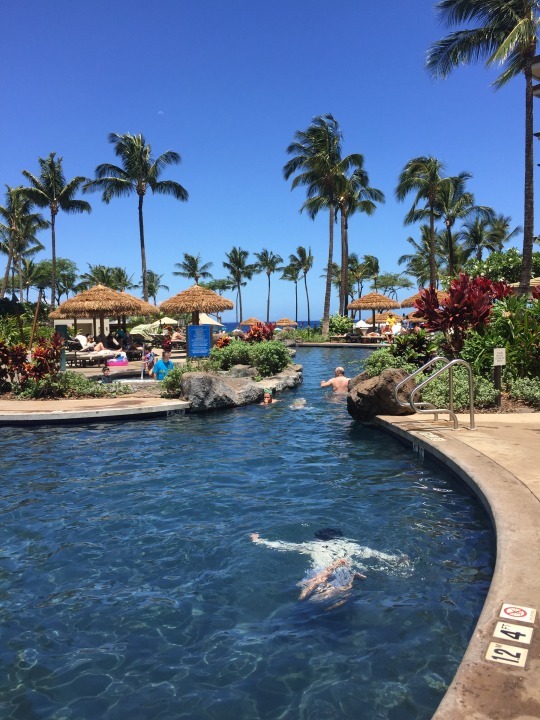 This all started because when I was pregnant with Lil-O, we got a voucher for a discounted hotel stay in Maui from a friend, and decided to use it. The catch, however, was that we had to sit through a timeshare presentation at an oceanside resort. Henry and I went into the presentation with a rehearsed cover story about how having another kid meant our budget was tighter than ever, and we simply couldn’t afford a timeshare. But then, we went on the tour of the resort property, and I totally folded. And you know what? I’m glad I did. We’ve loved going back to Maui every year. 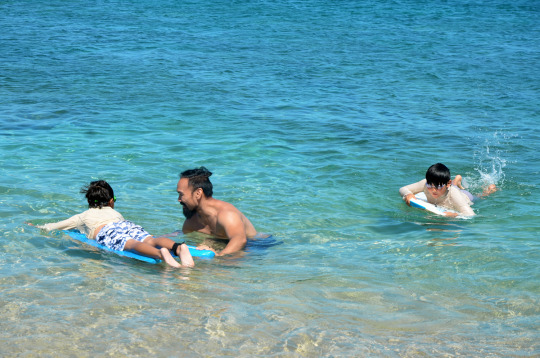 The kids love going to the beach and swimming at all the different pools at the resort, and it’s just a fantastic place to kick back and relax. And ultimately, it’s not so much the actual resort property that we love so much; it’s the fact that we get to enjoy a week-long family bonding vacation every year in paradise. And the food situation’s pretty darn satisfying. 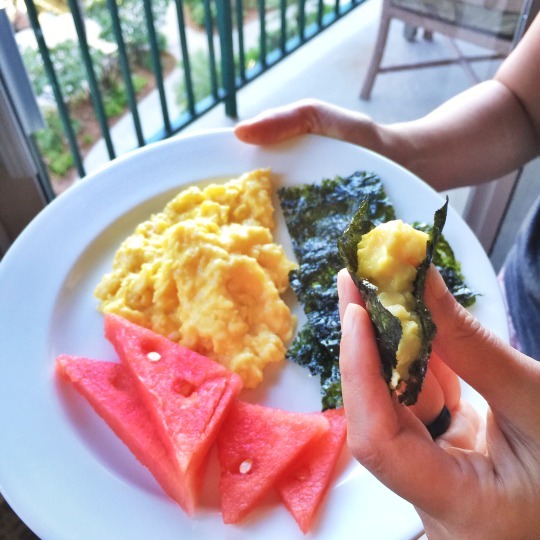 Each unit at the resort is equipped with a kitchen, so we end up cooking all of our breakfasts and a handful of lunches. 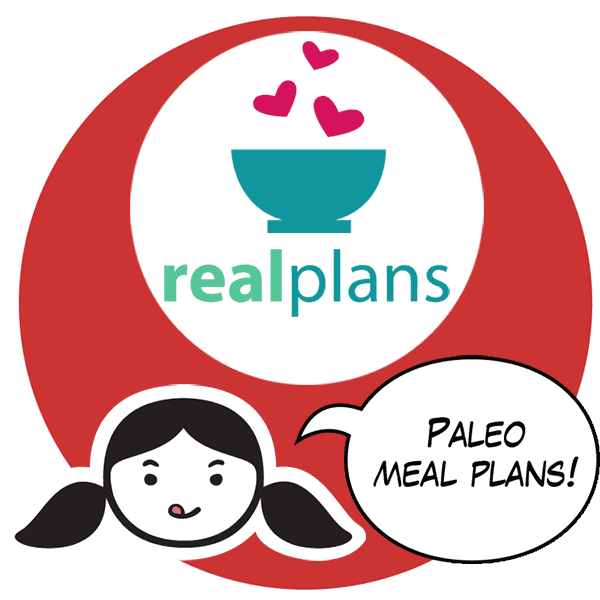 The rest of our meals are eaten at spots that are exhaustively researched and carefully selected (by me!). 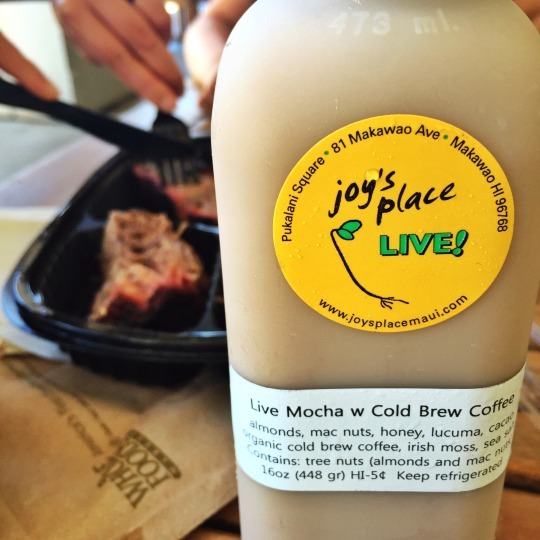 Without further ado, here are some of the places where we shop and eat on Maui! 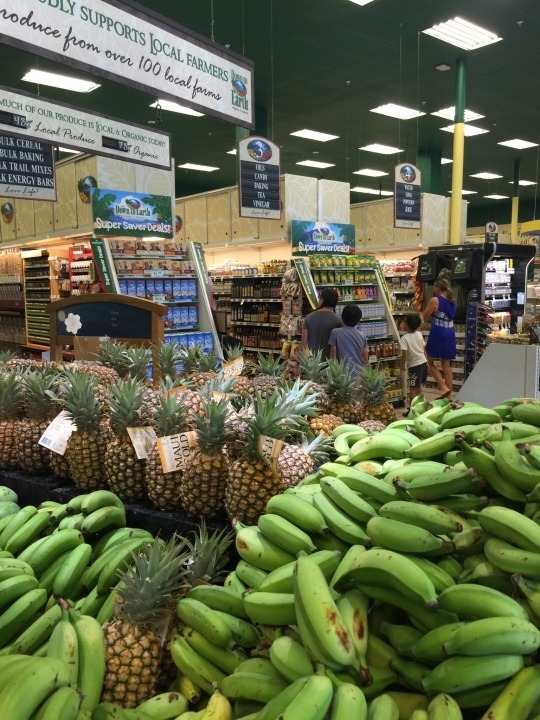 The Whole Foods Market in Kahului is huge, well-stocked, and always packed with sun-burned tourists and tanned locals. It’s a 30-minute drive from our timeshare, so we only shop here on our way to and from the airport. You can stock up on everything you would buy at a regular Whole Foods, but keep in mind that items from the mainland will be more expensive. I actually prefer products made by local artisans because they’re normally cheaper and I can’t find them any where else. If you buy refrigerated goods, don’t forget to pack some of the free ice they offer at the entrance. We usually pick up food for our flight home at this market ’cause there’s something for everyone here. 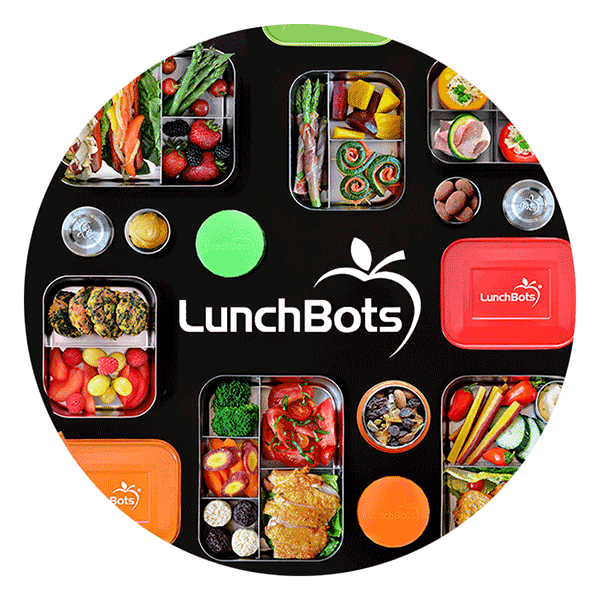 For our flight back to California, Big-O grabbed a box of shrimp cocktail, Lil-O and Henry packed a box full of barbecue brisket, and I grabbed a takeout container from the cold case that contained grilled salmon and salad greens. This vegetarian organic market is located just a few blocks from Whole Foods. 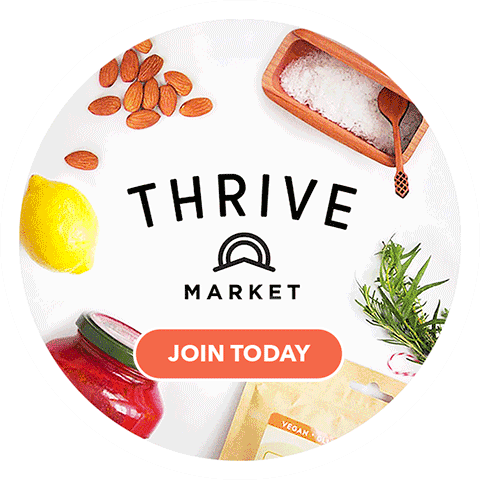 Yes, there are tons of soy-based products and fake meat, but you can also find lots of fantastic organic produce and gluten-free goodies. I even spied Chameleon Cold Brew in the fridge, one of my favorite brands of chilled java. We don’t stop here every time, but Costco’s a great shopping destination if you have lots of mouths to feed or have an extended stay on the island. 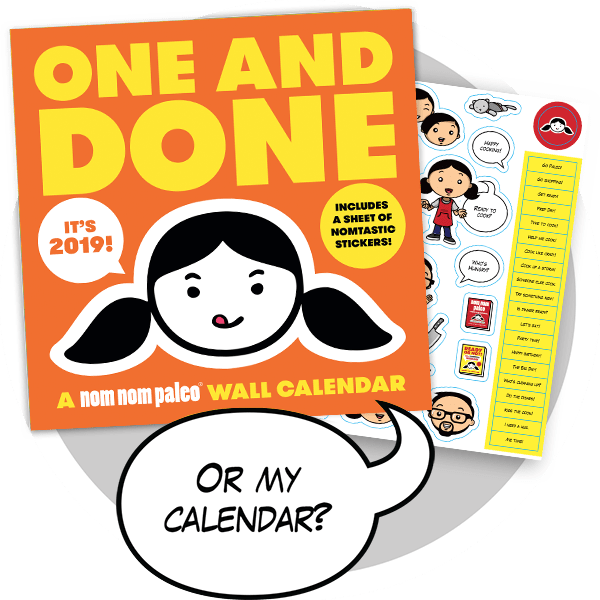 You do need a Costco membership, but if you have one already, you can buy organic eggs, organic produce, Kalua pig, snorkel gear, ukulele, and all of your gifts for folks at home (e.g. macadamia nuts, etc.). 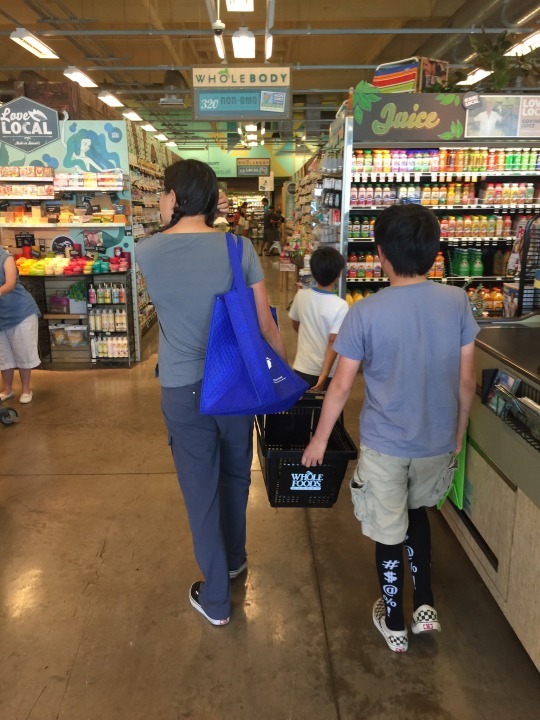 Here’s an old post that shows what we bought at the Costco in Kauai. 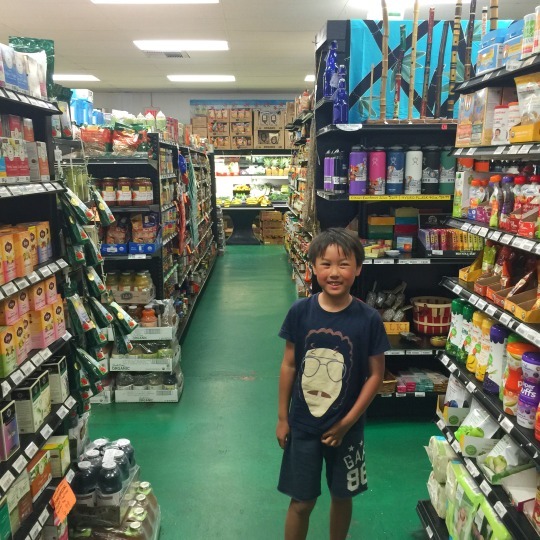 A few times a week, we walk up to Honokowai to buy snacks, treats, and produce at Farmer’s Market Maui, a cozy, hippy-dippy vegetarian market. 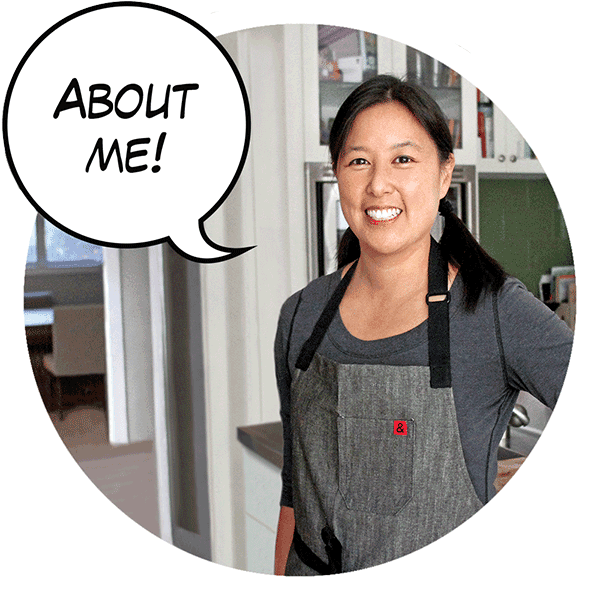 If you’re looking for gluten-free treats like Hail Merry tarts, Pono Pies, or Maui Sugar Bakery whoopie pies, this is the place to shop. 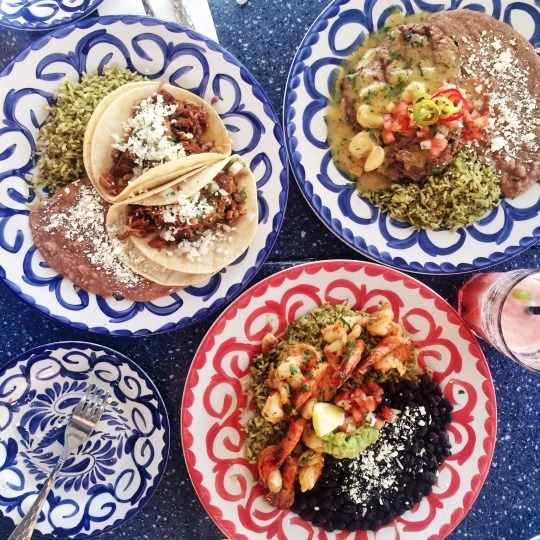 We love their guacamole and salsas, too. I don’t often shop at Safeway at home, but the big one in Lahaina is well stocked and open 24 hours. For a long time, I overlooked it, assuming there wouldn’t be any good finds, but boy, was I wrong. This Safeway’s got lots of organic produce, Applegate Farms meats, local kombucha—you name it. We always order take out from The Fish Market at least once during our stay and eat it back in our condo. My usual is a salad with grilled fish or shrimp (hold the croutons). The kalua pork and grilled fish tacos are delicious, too, if you want to indulge in some gluten-free corn tortillas. I discovered this tiny salad and wraps place after doing a Yelp search for local “organic restaurants.” Although they’re known for their wraps, you can turn any sandwich into a salad. 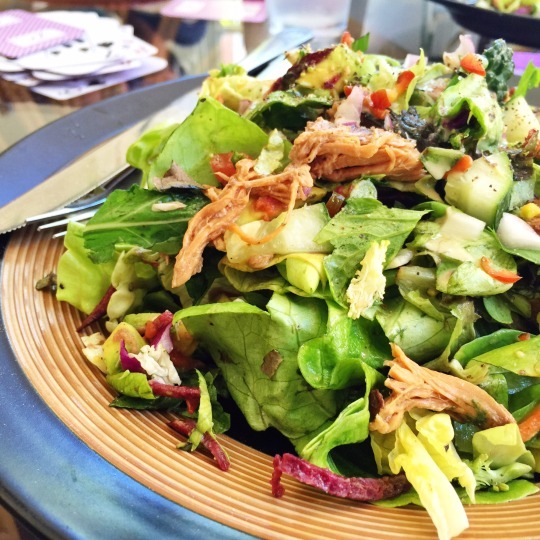 Da Green Pig Salad was one of my favorite casual meals on the island. 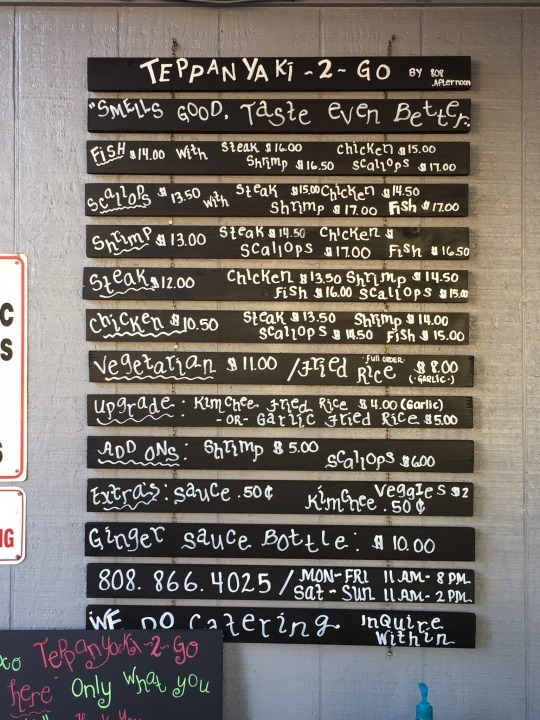 This take-out joint is hidden in between two parking lots in Honokowai. If you find yourself at the ABC store, you’ve already gone too far. My kids always beg us to take them to Benihana-type restaurants, but I’m not a fan of the prices or the cheesy cooking antics. Luckily, at Teppanyaki 2 Go, you can get the same food at a fair price, and you don’t have to sit through any corny jokes. Our favorite items were the chicken and shrimp cooked in garlic butter sauce.You can call ahead and request a gluten-free shoyu or the garlic butter sauce—that way, you won’t have to wait when you pick up the food. 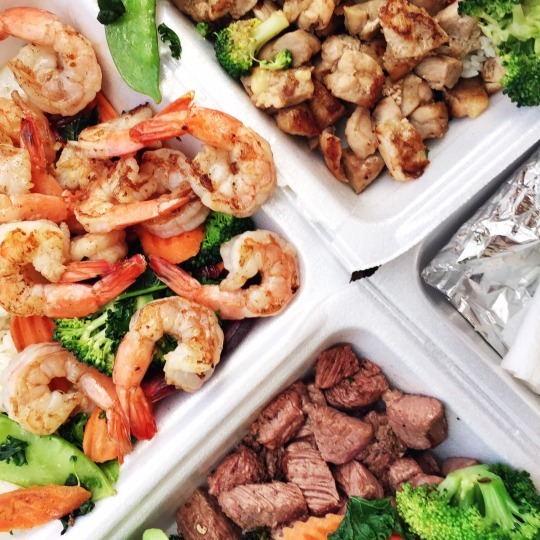 When we’ve got a hankering for plate lunches, we head to Aloha Mixed Plate. 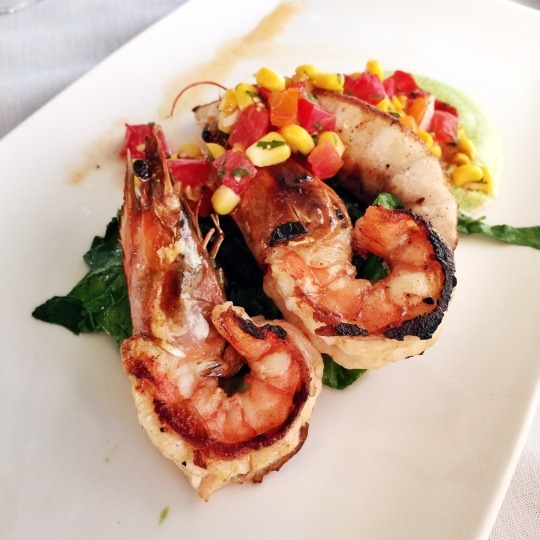 The food is reasonably priced and the beachside setting can’t be beat. 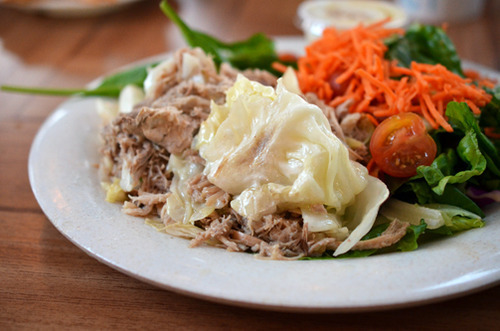 I almost always order a salad topped with kalua pig. Located just minutes from the airport, this spot is a great pit stop for those of you dying to stuff your face with your first plate lunch on the island. 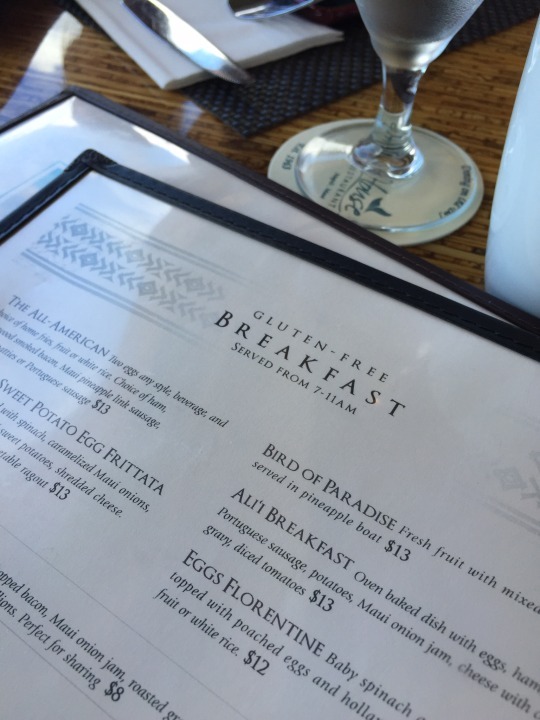 They have quite a few gluten-free options, including the kalua pig plate and the fish of the day. The wait can be pretty long at peak hours, but the service is super friendly and it’s a great place to fuel up after a long plane ride. 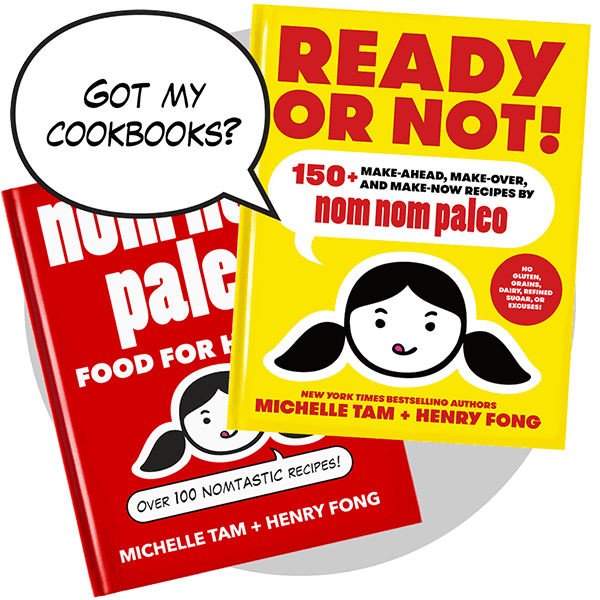 …Mala if we want pacific-rim inspired cuisine, and Honu if we want seafood and gluten-free pizza. There’s a Mala in Wailea, too, but we’ve never eaten there. 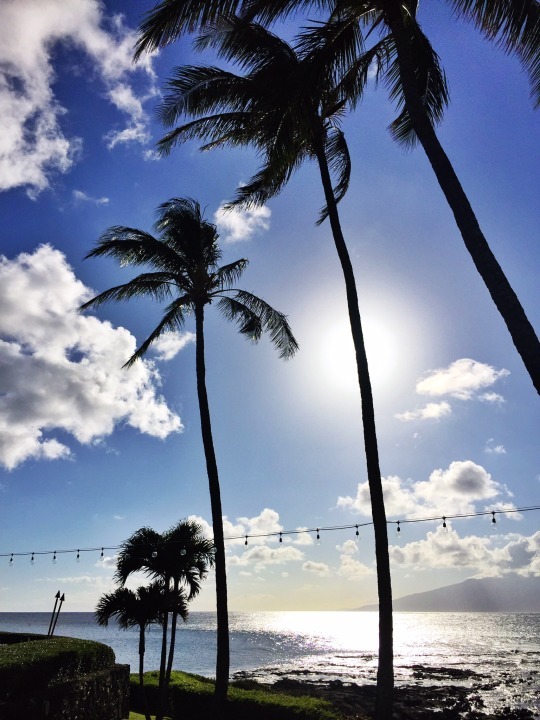 Why drive to Wailea to visit Mala when these three restaurants are so close to where we stay? 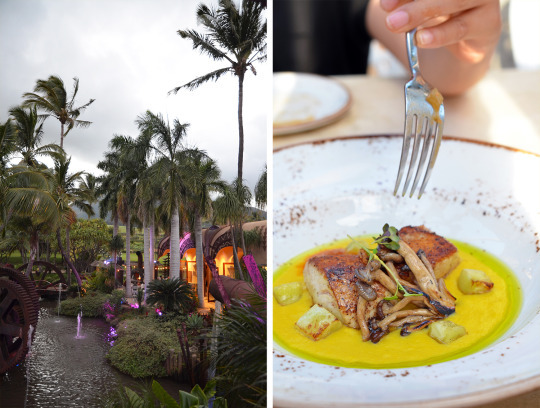 We were invited to try out The Mill House at Maui Tropical Plantation after our pal Gregory Gourdet introduced us to the new chef, Jeff Scheer. Jeff is Maui’s Chef of the Year for 2015, and he’s pretty awesome: he’s totally committed to nose-to-tail and farm-to-table cooking. The restaurant is smack dab in the middle of a plantation, and almost all of the ingredients will be sourced from the organic farms on site. 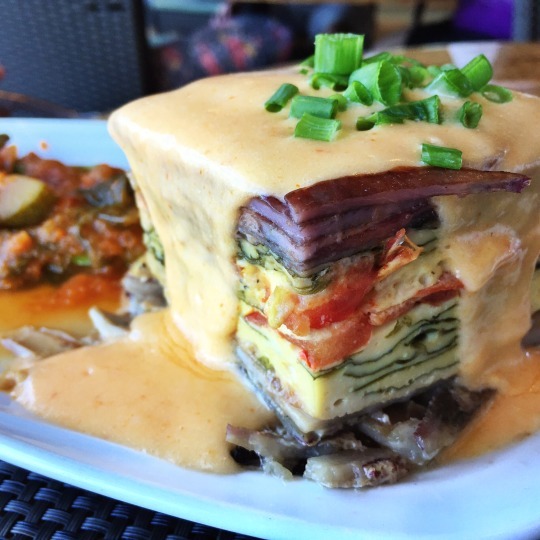 We ate at the restaurant during their soft-opening in June, and we were already blown away by what we were served. 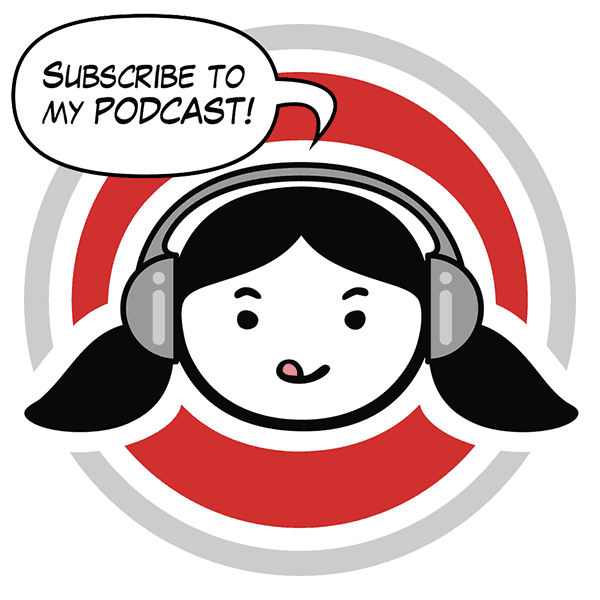 (You can listen to us gush about our meal in Episode 9 of our podcast.) I can’t wait to return in a year to see how things have grown and changed. 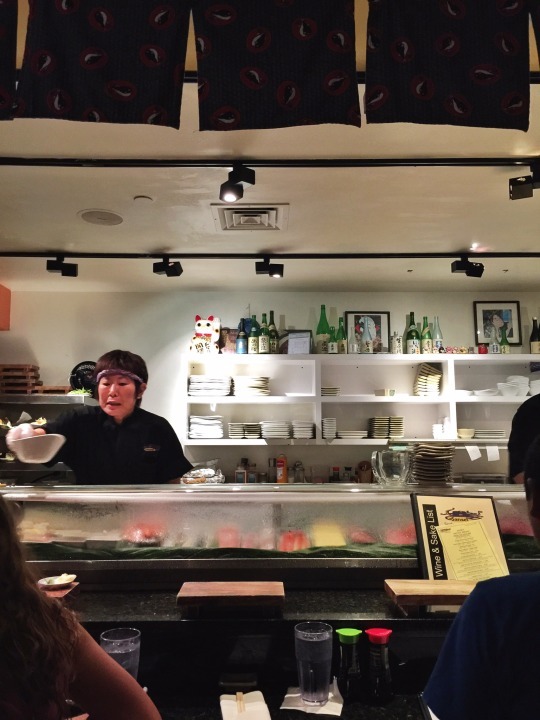 There is no view to speak of at this popular Japanese joint tucked away on a golf course in Kapalua, but the sushi and sashimi are pretty tasty. Also, you can get a 25% discount if you order by 6pm. 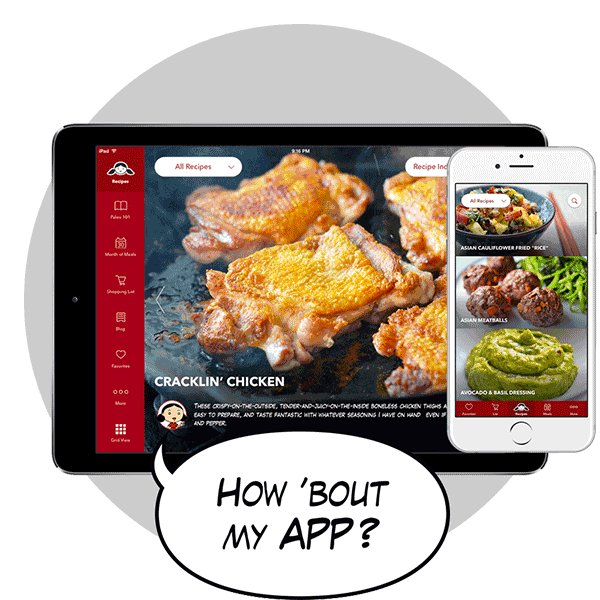 There’s also a separate gluten-free menu that makes it easy for folks to navigate the menu. This old school brunch spot located at Napili Beach has gorgeous ocean views, which (for some reason) lowered my expectations of the food. But I was pleasantly surprised that they had a gluten-free menu with lots of tempting choices. I ordered the sweet potato egg frittata topped with spiced hollandaise sauce, and I have to admit: it was pretty epic. We’ve been fans of this place for many years. The opening chef, Sheldon Simeon, left a few months ago to open his own restaurant, but I’m happy to report that we still enjoyed the dishes at Star Noodle. 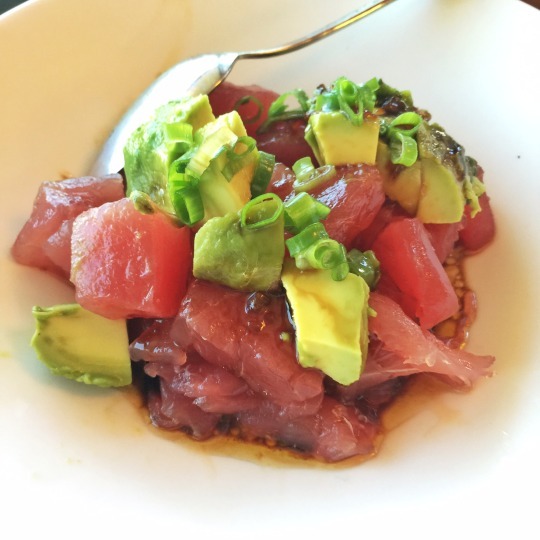 Some of our favorite gluten-free dishes include Filipino Bacon and Eggs, Roasted Mushrooms, Vietnamese Crepe, Brussels Sprouts (with sauce on the side), and Ahi Avo (remember to ask to substitute tamari for the shoyu if you need to be careful about going gluten-free). Important note: the wait time can be pretty crazy, even if you have a reservation. Looking to splurge on a unforgettable dinner with a view? Book a table at Merriman’s. 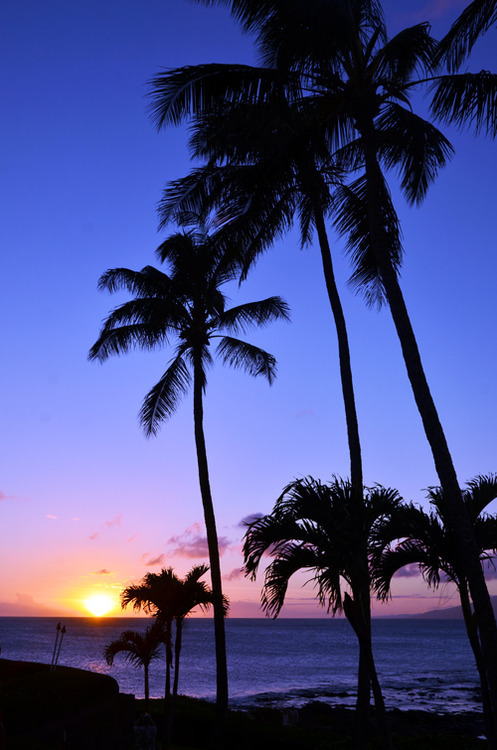 The sunsets are breathtaking, and the food doesn’t disappoint, either. I try to book a table at 5:00 pm ’cause it increases our chances of getting an oceanside view. 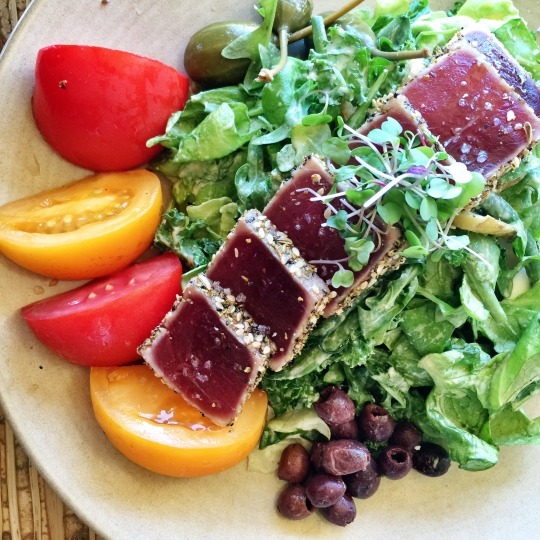 On previous Maui trips, we dined at similarly-priced destination spots like Mama’s Fish House and Lahaina Grill, but Merriman’s still remains my favorite spendy restaurant. 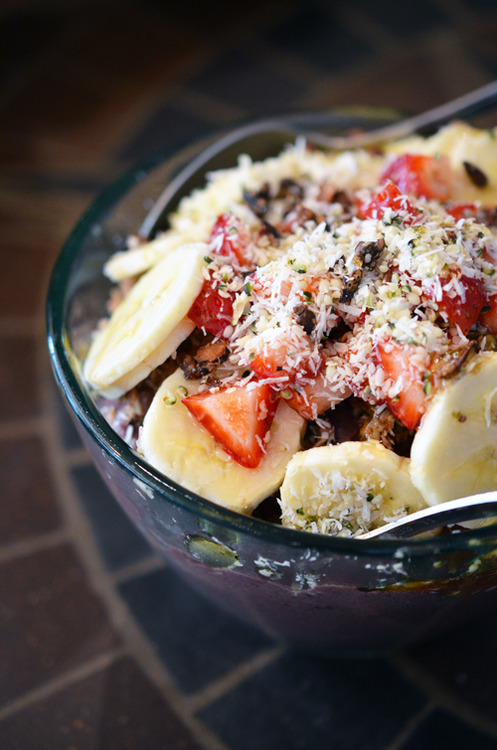 Organic, gluten-free goodies. We tried the whoopie pies and they were pretty tasty. 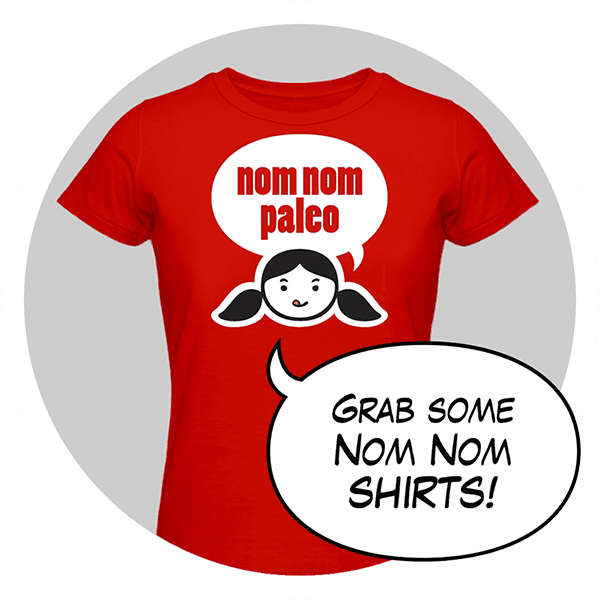 And no, they aren’t Paleo at all. BUT VACATION, people. 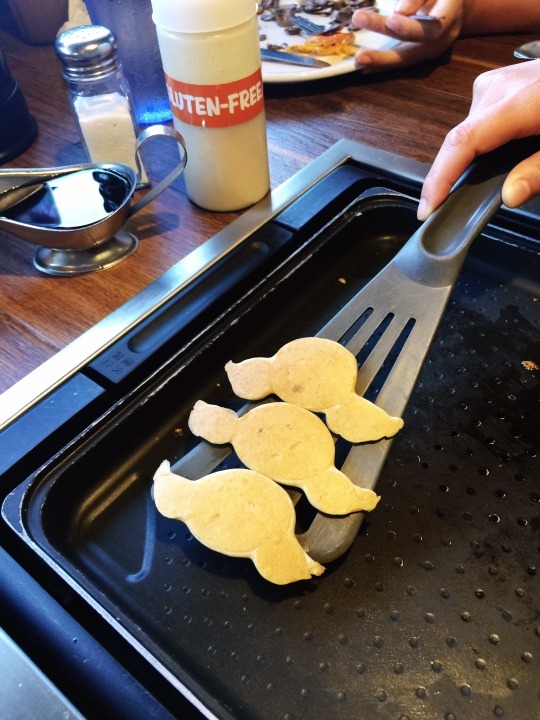 Make your own gluten-free pancakes on your own table side griddle! Was it the best breakfast I’ve ever had? Nope. But the kids got a massive kick out of cooking their own flapjacks in all sorts of crazy shapes, and with tons of custom toppings. 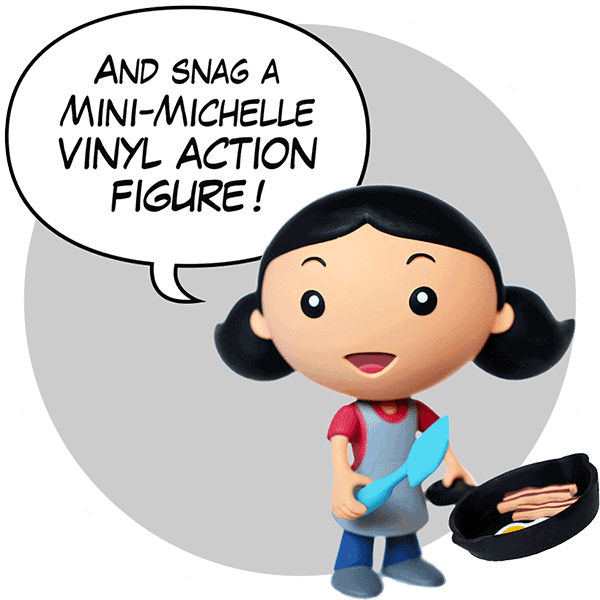 You can balance out the pancakes with some egg scrambles and bacon while the kids knock themselves out cooking up their flapjacks. 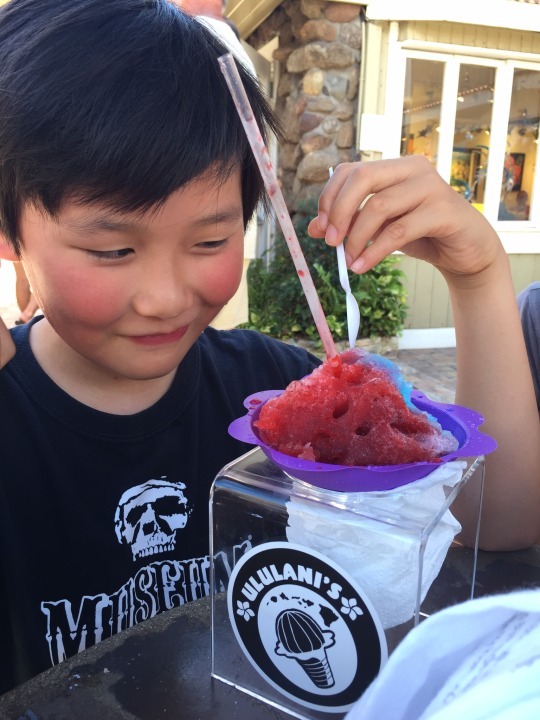 If you’re gonna get a proper shave ice, head here. And don’t blame me if your mouth turns an unnatural shade of rainbow afterwards. Our kids’ favorite flavor is Tiger’s Blood, which would’ve been Paleo if it was actual tiger’s blood.